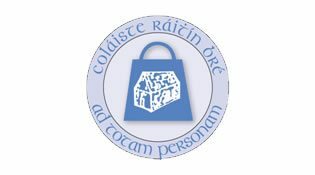 Tá dhá scoláireacht le bronnadh againn ar bheirt scoláire ó bhliain 1/2 go Coláiste Chonnacht i gCo na Gaillimhe. Chun cur isteach ar an gcomórtas nil orthu ach alt a scríobh agus a thabhairt don mhúinteoir Gaeilge faoi am lóin Aoine,5 Aibreáin 2019. Dátaí an chúrsa Gaeltachta: 26 Meitheamh-17 Iúil 2019. Competition for 2 Gaeltacht Scholarships in Coláiste Chonnacht, An Spidéal, Galway is now open to first & second year students. Two places available. Course dates : 26 June- 17 July. Closing date for entries Friday 5 April. Students have been given handout with all information. Ceoldráma The School of Rock 10-12 Aibreán Coláiste Ráithin Musical 10-12 April. The School of Rock, Ceoldráma Choláiste Ráithín, Whale Treatre, 10-12 Aib, Euro 10.